The Women's March on Washington was a historic day with over 5 million people of all races, gender identities, religions, sexual orientations, and more marching on every continent around the world. The march, preceded by a program of dynamic speakers and performers aimed at educating and elevating, has been hailed across the globe as sparking a movement of resistance in the face of hatred. As the sponsoring organization, The Gathering for Justice played a very central role in making this march come to be. 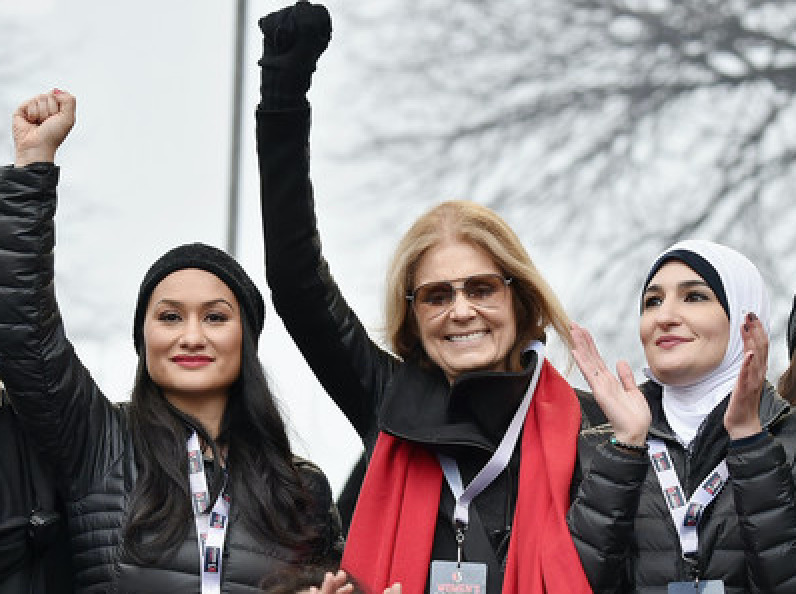 We are proud to note that our fearless executive director, Carmen Perez, led this movement by serving as one of 4 national co-chairs for the march alongside our sisters in the movement Tamika Mallory, Linda Sarsour, and Bob Bland. Additionally, our incredible founder Harry Belafonte served as an honorary co-chair alongside Angela Davis, Dolores Huerta, and Gloria Steinem providing much desired guidance, mentorship, and expertise towards making this a reality. But what ultimately makes us most proud is that our entire team of staff, volunteers, and interns came together to make the march and its follow up actions as intersectional, sustainable, meaningful, safe, and impactful as possible. From heading up our communications team to coordinating partnerships to facilitating the policy table to working on the program to handling credentials and security to logistics on the day of, there was no facet of the Women's March on Washington that we did not work hard to support and make happen. It was our honor to not only work toward January 21st, 2017 but to also work diligently following the march in coordinating actions focused on resisting divisiveness and bigotry. We did this work in the spirit of all work that we do here at The Gathering: because it is our duty to fight for our freedom and because it is our duty to win. We will love and protect one another because we have nothing to lose but our chains. View the video of Carmen Perez's speech at the Women's March on Washington. The transcript of her speech can be found here.